At Montana Ranch Properties, we know land, resources, and recreation. 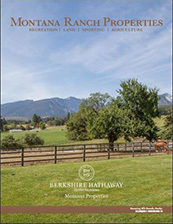 Montana Ranch Properties is a specialized division of Berkshire Hathaway HomesServices Montana Properties. We are the highest ranked real estate firm in Montana. Our diverse and highly qualified brokers are located in 12 key areas throughout the state. We offer experience, expertise, credibility, and professionalism with a combined 360 years of real estate brokerage. 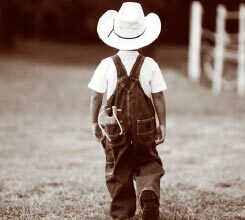 We hunt, fish, recreate, and ranch in the communities we serve, and we know the real estate market. Our agents recognize the special values that residential agents sometimes miss. As local specialists, we understand the real estate market for fly fishing properties, land, large acreages and unique luxury and legacy investments. We facilitate financing, conservation easements, tax deferred exchanges, and offer our clients the resources necessary to provide the highest level of due diligence. Our goal is a complete and successful transaction and a new Montana friend for life. We hope you enjoy visiting our specialized website and enjoy viewing the properties we proudly represent with high-resolution professional photos, aerial drone and video presentations, maps, and detailed brochures. Our online marketing strategies are the best in the real estate industry and include a global distribution to over 39 countries around the world. Contact a Montana Ranch Properties agent today. We’ll meet you anywhere were the road bends into a ranch or up a narrow wooded path, from the Idaho state line to the rolling Big Sky plains. Let us share our knowledge of today’s real estate market, our expert services, and our passion for Montana properties. We’ll be waving at you on the road. We’re your neighbors. Montana Ranch Properties contributes to and are involved in the following community events and programs.